This work has been POSTPONED due to circumstances beyond the contractor’s control. A new PSA will be distributed when the work is rescheduled. Monday, June 19, 2017 (Halifax, NS) – The Halifax Regional Municipality is advising residents and motorists there will road construction this week on the in-bound lanes of Connaught Avenue between Chebucto and Bayers. Monday, June 19, 2017 – The Halifax Regional Municipality is advising residents and motorists that road construction will take place today on the in-bound lanes of Robie Street between Spring Garden and Quinpool roads. 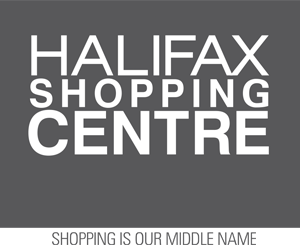 Monday, June 19, 2017 (Halifax, NS) – The Halifax Regional Municipality is advising residents and motorists road construction will continue this week on Main Street between the Forest Hills Extension and Montague Road. Monday, June 19, 2017 (Halifax, NS) – The Halifax Regional Municipality is advising residents and motorists there will be road construction today and tomorrow on Herring Cove Road between Old Sambro Road and Sylvia Avenue. Friday, June 16, 2017 (Halifax, NS) – The Halifax Regional Municipality is advising residents and motorists there will be asphalt patching on Argus Drive from Lancaster Drive to Fury Drive on Monday, June 19 and Tuesday, June 20. Friday, June 16, 2017 (Halifax, NS) – The Halifax Regional Municipality is advising residents and motorists concrete curb repairs will continue next week on Colby Drive between Briarlynn Crescent and Greenwich Drive. Friday, June 16, 2017 (Halifax, NS) – The Halifax Regional Municipality is advising residents and motorists there will be road construction at the corner of Spring Garden Road and Dresden Row on Sunday. HS Beethoven – Cleaining Underway.